#1 What car were the main characters in The Sweeney TV show usually driven in? We’re the Sweeney and you’re nicked! #2 In Ashes to Ashes, Gene Hunt drives an Audi Quattro. What does he say when they get in it? What are you hanging about for? Call yourself a detective? It was ‘Fire up the Quattro’, sunshine! #3 In Breaking Bad, what do they call the RV they use? Wrong. You need to brush up with a box set! 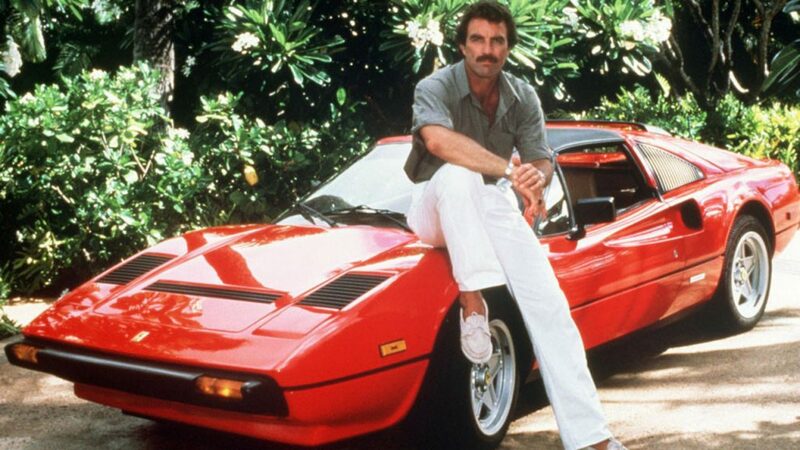 #4 Which Ferrari did Tom Sellek drive in Magnum, P.I.? Hands up! You got it wrong. It was the 308 GTS. #5 What car did Starsky & Hutch drive? You’re busted! It was the Gran Torino, man. #6 Which people carrier featured in Peter Kay’s Car Share? #7 What was the engine size of the Reliant Regal in Only Fools & Horses? Rodders! Get your act together, my son. It’s 600cc. #8 In Wacky Races, who drove The Compact Pussycat? Your racing days are over. The right answer is Penelope Pitstop. #9 What do Scooby-Doo and the gang call their van? Zoinks! You got it wrong; it was The Mystery Machine. #10 In Knight Rider, what was the Hoff’s first talking car, KITT, based on? great fun but just shows how much attention I pay to the cars in TV shows, need to pay more attention. Brilliant quiz but I got 7/10 maybe because I don’t watch some of the tv shows. Deffo… A nice Gold one. Nigel, thanks for the feedback. A Ford Consul was used in the first two series, and a Ford Granada in the third, according to various sources for information on The Sweeney! Hope that helps.